Printers, Copiers, MFPs, Presentation Devices - BMC Inc.
We provide on-site and remote consultation, installation, service, and support on all products and solutions we represent. People helping people with the right business equipment and solutions. Your Digital Office Solutions Provider Since 1971! 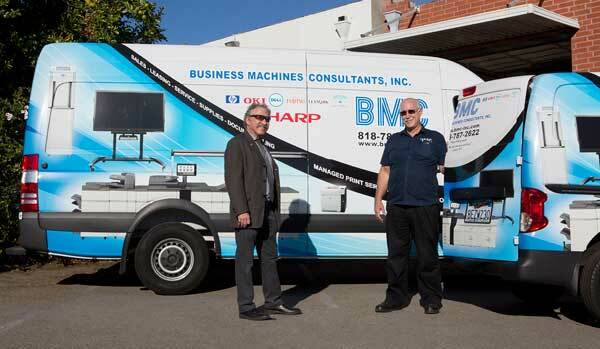 BMC, Inc. represents one of the largest arrays of office automation products and solutions in Southern California. We provide on site and remote consultation, installation, service and support on all products and solutions we represent. 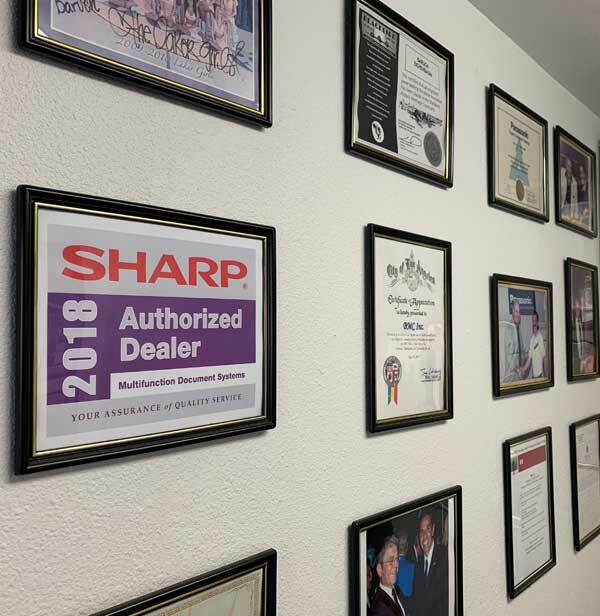 We specialize in Copier-MFPs, Managed Print Solutions along with Managed Network Services all blended with Multiple Security, Encryption and Workflow Scanning Programs. To enhance meetings, webinars, seminars and training we offer the Sharp Flat Panel Screens and Interactive Whiteboards. This unique combination of Office Automation, Document Management, Security Solutions and Network Solutions provides your organization with the right products and solutions specifically suited to your business needs. Whether it is MPS (Managed Print Services) or RMS (Remote Management Services), BMC is the company for you! No matter what your needs, from simple copy/print/scan for a small office, to complex network enabled enterprise document production & storage, our best in class brands and equipment are up to the challenge. Learn more about the brands we carry, or view our catalog for each brand, below. 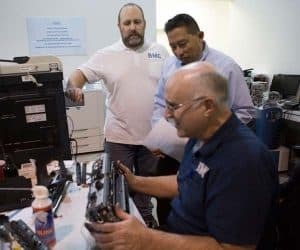 BMC offers one of the largest selection of products for digital document management and automation in Southern California. Whether you are looking for printers, multifunction printers (MFPs), copiers, and scanners, we can help. MFPs are the core of the connected and productive office. Let BMC’s experts in document production, scanning, storage, and sharing work with you to determine which MFP is right for your needs. Need to manage access to sensitive printed information? Require printers in individual offices for privacy & security? Does you company need to print documents larger than standard paper sizes? BMCs experienced staff will match your requirements and needs with the perfect mix of Color, Black & White and Wide Format printers. Managed Print Solutions (MPS) make more sense today than ever. Let BMC provide a higher level of service, equipment performance, automation, and cost savings than otherwise possible with traditional self-support or break/fix service alternatives. Whether displaying information for meetings, menus or signage, let our experts help you select select the right presentation device for your needs. Increase the effectiveness of your communication with a Sharp Interactive Display. Draw right on the screen and control your presentation with your fingertips or software-driven pens that let you present your message with ease. A flat panel professional display may be the right choice for you if you need to show Powerpoint Presentations, text, images, videos and much more. You can even create a wall of video...all with our Professional Displays. 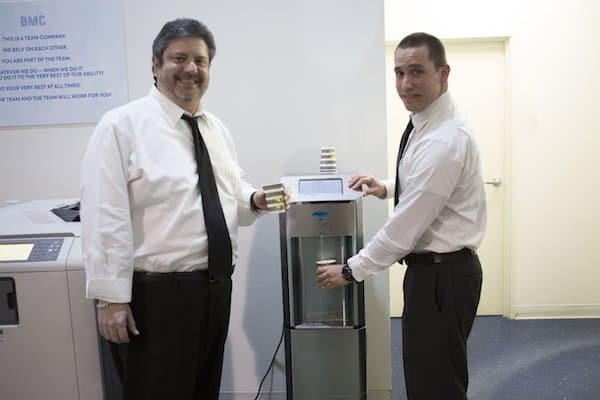 If you are struggling to meet the water needs for employees and visitors, the Skywell may be your perfect solution. Produce filtered, pure water from the natural humidity already in the air for about the same cost as bottled water, but with none of the waste. 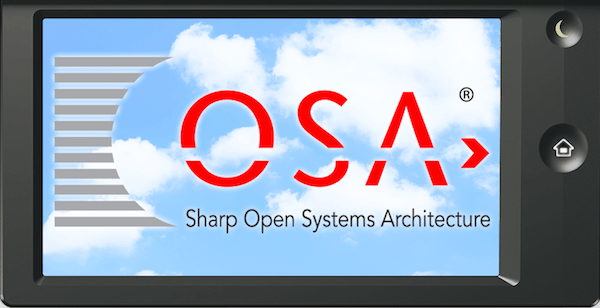 Integration and automation applications like the Sharp Open Systems Architecture (OSA), Lexmark’s XYZ System, and HP’s LMNOP technology enable companies to turn their compatible multifunction printers (MFP) into customized, world-wide document management portals. Call the experts at BMC to help make your office work better, smarter, and more efficiently. BMC sells consumable supplies and replacement parts for every machine and product line we represent. 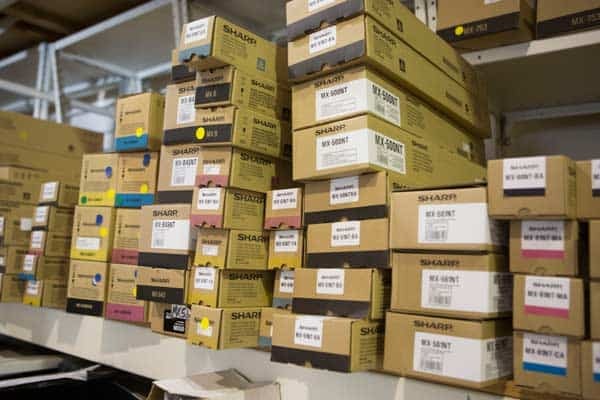 And, because we’ve been in business since 1971, we can get most parts for other equipment, too. Our friendly and knowledgeable staff will work to get you what you need at a price you’ll appreciate. Herman & Chamow CPAs is pleased to recommend BMC Inc. for their quality products and fair pricing. For more than two decades, BMC Inc. has offered our company top-of-the line printing and copying equipment that has greatly increased our productivity and allowed for efficient conduct of our daily business. Any service or on-site repair needs are addressed quickly and professionally. We will continue to “count” on BMC Inc.! Searock Stafford CM has worked with BMC Inc. since we started our company in 2013. BMC was very helpful in arranging leasing at a competitive price for our office copier and printer. They were essential to the successful start of our company and we happily have extended our lease with them for upgraded equipment. They are always timely and professional with their service calls. We gladly recommend them to any company. We have been working with BMC for the past year and are currently leasing a great copy machine from them. It has been a pleasure dealing with Bitzy who has been extremely helpful and professional. BMC has been very fair with pricing and responsive with regards to maintenance. I highly recommend them to any company looking for great products at a fair price with solid service. Our team of factory trained service technicians are ready to assist you with any problems with your copiers, printers and MFPs. We offer break-fix, maintenance agreements, and managed print solutions to meet every need. Let BMC’s exceptional service keep your business running smoothly. At BMC, you’re a person not a number. So when you contact us to talk about your office automation needs, we’ll really listen. Let’s get started. Contact us today.